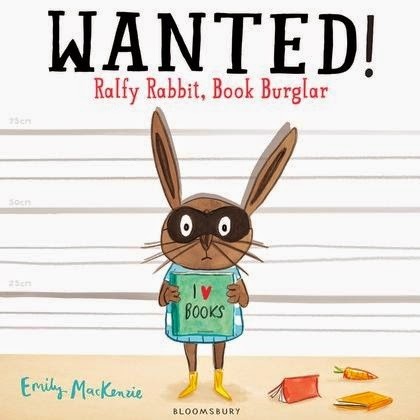 If you have children there really is nothing more useful to have on your bookshelf than a selection of books which provide ideas and inspiration for activities. These books both follow on from the brilliant Stick Book and make a great addition to the bookshelf. 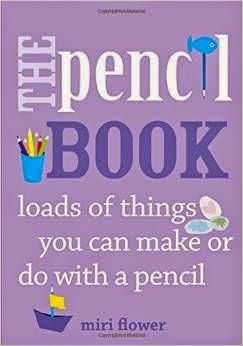 The Pencil Book provides loads of ideas for things to do with pencils. From simple ideas like drawing a menu through to more creative uses for pencils such as building sculptures. Although there is nothing innovative in this book it really does gather together some brilliant ideas and I’ve already used it loads. I loved making little plant pot markers with Fifi and I’d forgotten about the ‘drawing the other half’ game which I loved so much when I was little. 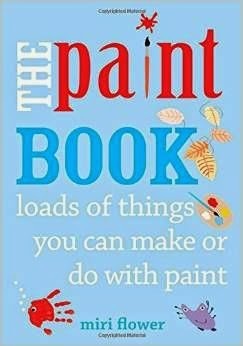 The Paint Book provides inspiration on things to do with paint. Again, its not rocket science, but it is really brilliant to have all the ideas gathered together in one place. We loved rolling marbles in paint to create special pictures and finger print doodles are such fun. We will be using a combination of these ideas for this years Christmas cards. Both books are really nicely presented with lots of colour photographs and an activity per page. I think this is really useful at it enables you to dip in and out quickly and also means that there are no really complicated activities. These quick and easy instructions and projects really make life so much easier! If you are a parent, childminder or an auntie on the lookout for a brilliantly useful present I’d suggest having a look at these two little books. 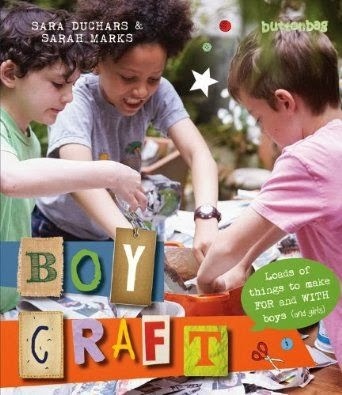 I’ve found them invaluable recently and the ideas are suitable for kids from toddler years upwards. My eldest (7) who is infamous for being ‘bored’ has found them particularly useful as a spring board for crafting activities, so I cant really ask for much more. If you want to see the sorts of things that Miri Flower gets up to then have a look at her craft blog Here We Are Together which provides a lovely insight into their home-schooling life. You can get both books from the good bookshops and Amazon priced at £9.99 each and published by Frances Lincoln. Thanks for all the great reviews you do. Like the idea of these books as a &#39;what shall we do this morning? Let&#39;s open this book as pick something&#39; kind if way!